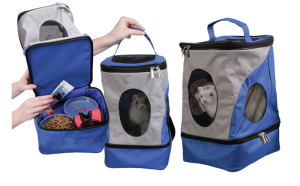 Carrying your pet just got easier with the Pack-n-Go. 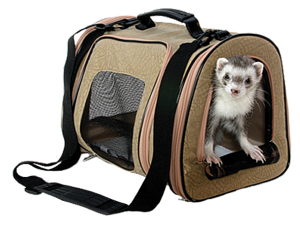 This handy backpack serves two purposes; toting your pet and carrying your pet’s supplies. Main compartment is vented for optimal airflow. Zippered storage compartment holds pet’s food, waste bags, lead and toys.